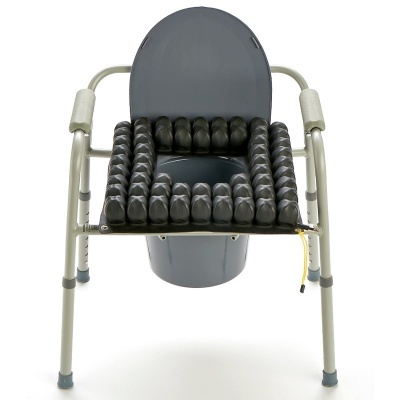 Designed to fit shower chairs and commode seats, the Roho Shower Commode Pressure Relief Cushion provides support and assistance while offering all the therapeutic benefits of a low profile cushion. 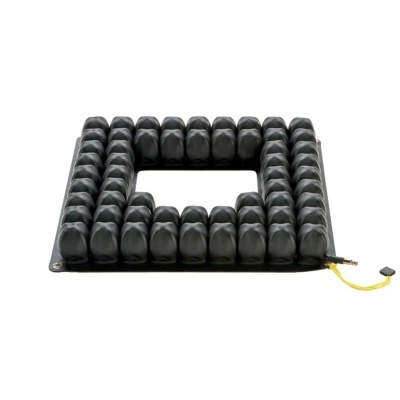 This versatile cushion is suitable for most low-risk users, and prevents pressure sores from developing or becoming worse by evenly distributing pressure and minimising friction and shear. Despite being suitable for use with a shower chair or a commode chair, the Roho Cushion still provides exceptional therapeutic pressure relief through the use of Dry Floatation technology. 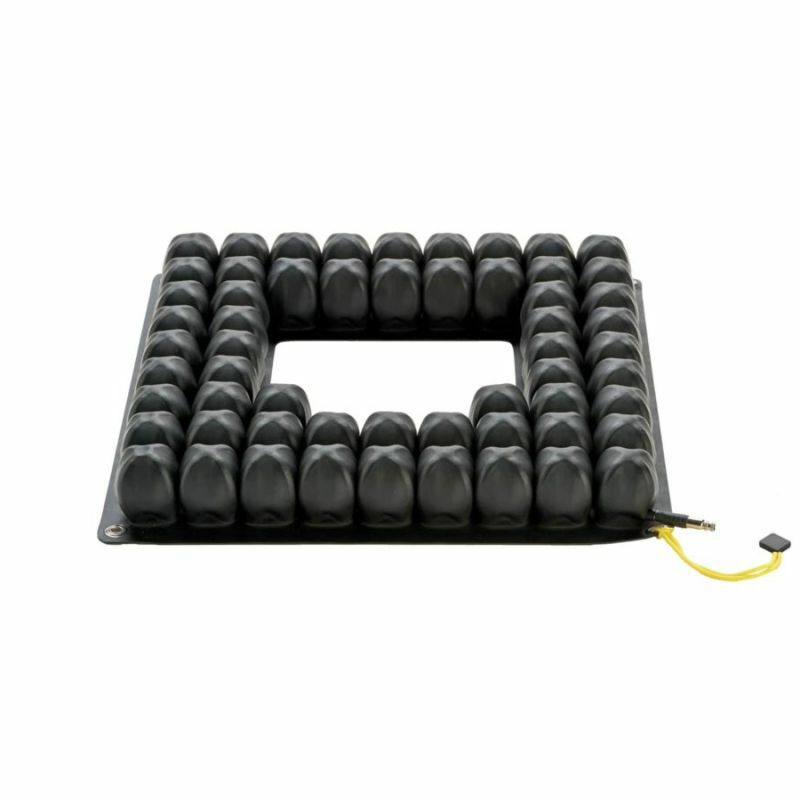 Through the mimicking of the effect of flotation in water, combined with envelopment and immersion, this comfortable cushion provides equal, redistributed pressure across the cushion that ensures exceptional comfort, support and stability. The Roho Shower Commode Cushion is popular within the NHS, care practitioner's and other care professionals. Roho's excellent reputation among professionals for their high quality pressure relief products means that they are a trusted source of pressure relief for users across the world. The Commode Cushion is ideal for low risk users who require support during showering, especially for those who need help with positioning and transfer. It is recommended that you consult your GP or practitioner before purchase, but it is advised that the cushion should be suitable for most low-risk patients. The Roho Shower Commode Pressure Relief Cushion is available in four different sizes to meet with your requirements. The measurements below are measured first across the width of the cushion from left to right, and then the depth of the cushion from front to back. 38cm x 38cm 15" x 15"
38cm x 41cm 15" x 16"
41cm x 41cm 16" x 16"
41cm x 46cm 16" x 18"
This item is usually dispatched by 24 hour courier. This item is usually dispatched the same day for next working day delivery when ordered before 2.00pm, Monday to Friday. Please call our Hospital Beds Customer Care Team on 020 7501 0592 if you have any questions about the delivery of this item.